Happy Magical Monday, friends! Today is a special day in Disney (family) history. 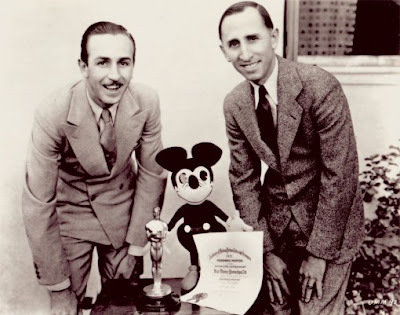 Walt Disney's older brother, Roy Oliver Disney, was born on this day in the year 1893. Below is the full video of the press conference where Walt Disney announced plans for a Florida Project. 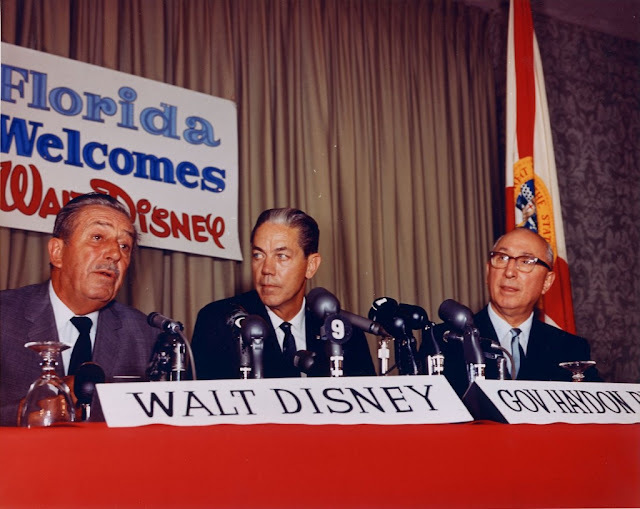 Governor Haydon Burns introduces Roy as, "the financial genius of Walt Disney Productions, it's President, Mr. Roy Disney". Walt goes on to tell more about his relationship with his brother, the one he always shared his dreams with, and explains the importance of Roy's role in the project. *There is no sound in this video until 1:43 into it, so no worries, your speakers are just fine. ;) As soon as the press conference portion of the video begins you'll hear that old familiar voice of Walt's. . . .
After Walt's death, Roy made certain that "Disney World" would indeed be completed, and named "Walt Disney World" in honor of his legendary brother. 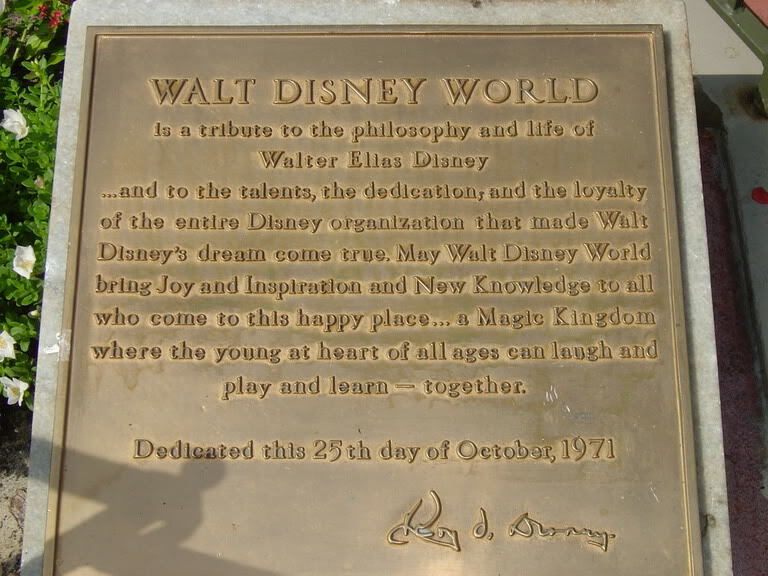 Roy O. Disney's Walt Disney World Dedication Speech, October 25, 1971. 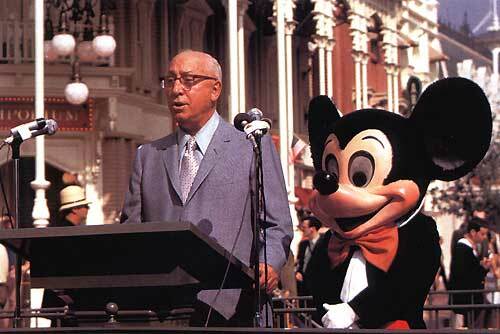 Roy O. Disney died on December 20, 1971, just short of two months after Walt Disney World's dedication. Without Roy's firm instance to complete Walt Disney World, as his brother had envisioned it, we may not have the vacation destination that we so enjoy! He saw his brother's dream through to completion, which has enabled the dreams of Disney fans to come true there each and every day since! 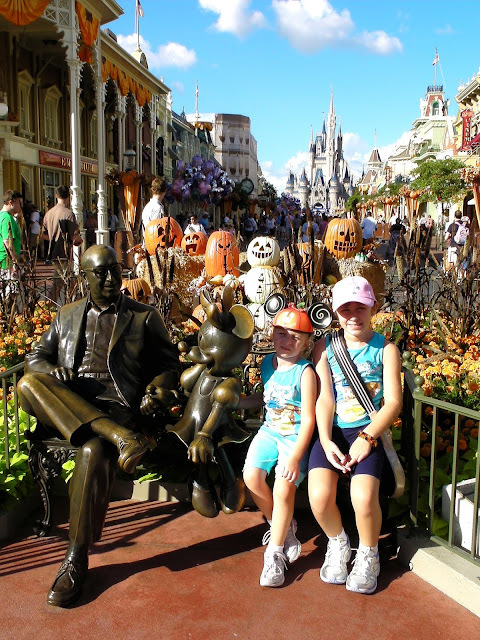 Have you posed near Roy O. Disney's likeness? The statue of Roy sitting on a park bench beside Minnie Mouse in Magic Kingdom's Town Square is a great photo spot! What fun times! I never even knew about the brother! You keep me in the know about all Disney stuff! This is so cool! I feel like a learned a little more from this post! I didn't know there was a brother either! Thanks for the history... that is fun to learn. Disney World was dedicated just 23 days after I was born. I never knew that. Do you know when Disneyland opened? It was earlier than Disney World, right? I grew up only much closer to Disneyland and have been there plenty, but I've never been to Disney World (gasp). 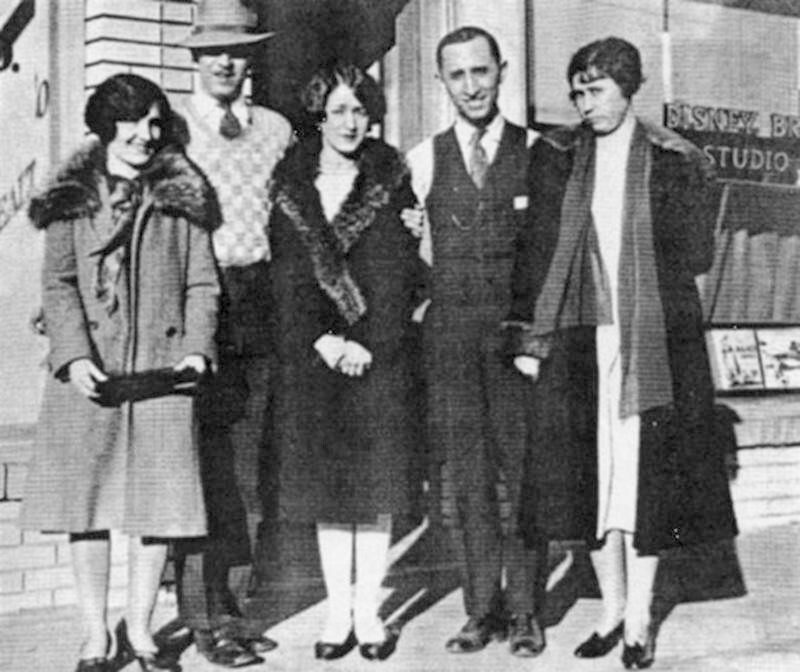 In the Picture with DISNEYS on the bottom in front of the old studio on Kingswell in Los Feliz...That is Hazel Bounds (Lillian's sister) who brought Lillian out to Los Angeles and got her the job at the studio. That is not Flora Disney (Walt and Roy's mom). The other woman in the picture is Edna Roy's wife.